Hello everyone! I've been browsing this forum for about three days since I first discovered the Fiddlerman reviews on youtube. Here's my attempt at a (hopefully) brief introduction.. I'm Calvin and I'm 27 years old. I've been interested in music since a young age. My first instrument was the clarinet. That lasted about 2 months. I was left behind by the class due to my unfamiliarity with the instrument, which I presume was required since my band mates all seemed somewhat proficient. I was disheartened and quit. Then about 5 or 6 years later around the age of 15 I got an electric guitar because that's what everybody else was doing and I wanted to play. I never really picked it up, it was very hard to play due to the action being almost an inch off the fretboard around the 12th. It was stolen a couple years later. I really dreamed of being able to play I just assumed some people could and some people couldn't (horrible attitude I know). When I was 24 a friend who is left-handed was given a right-handed acoustic guitar, he knew I wanted to play and he wanted the instrument to be played so he gave it to me. I used it to mess around when I was bored. At 25, finally back on my feet after a few rough years, I decided I deserved to get something for myself so I bought the cheapest 88 key weighted digital piano I could find. It's a Williams Allegro if I recall correctly. I dabbled with it for awhile and never got serious. I used my job as an excuse, as well as tendonitis in my arms for not playing as much as I should have. Then a 1lb desk lamp fell and hit the top of the keyboard above the speaker and the sound was almost non-existent, I tried to plug in an amp/headphone but to no avail. Unsuccessful attempts at contacting the manufacturer, as well as musician's friend encouraged me to tear it apart which I have yet to do. I've listened to classical music since a young age and never really understood it, I just liked it. I only liked the piano and the violin/strings. Even until recently when listening to my local classical radio the second some heavy wind/brass piece came on I would likely switch stations, especially if it was choral or opera. I'm beginning to love everything, but my love for the violin and piano is still there growing stronger. It was a few days ago and I honestly can't remember what prompted me to do it, I had always assumed a violin was an extremely expensive instrument from seeing them in music shops always the wrong side of a thousand dollars, but I googled 'entry-level violins' which led me to a woman's review on youtube of a $63 violin she claimed to be 'FANTASTIC'. Then I saw Fiddlerman's reviews and since then I've been researching violins non-stop, and watching an unhealthy amount of his beginner violin videos without even having a violin yet.. I was amazed at Fiddlerman's ability to educate and inform, and at the same time give a thorough review. I came over and started browsing forums and to say that I was surprised by the attitude here would be a massive understatement. 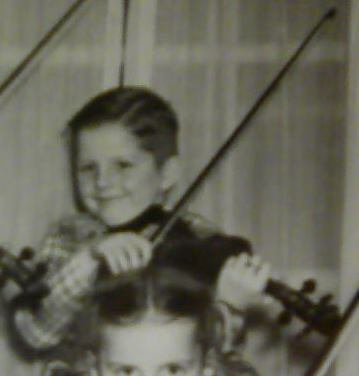 I also associated the violin with elitism and never imagined a community of people like this willing to help people learn. I am willing to spend all of my money ($150) on a violin. Learning (or trying to learn) the violin is the most important thing to me in my life right now so that's what I'm going to do. I'm going to my first classical performance on Thursday evening to see my local chamber orchestra perform selections from Bartok's Violin Duos, Haydn's string Quartet in D minor, and Beethoven's String Trio in C Minor, so I need my fiddle soon while the inspiration is still fresh It's late and I'm rambling now, what started as me wanting to express my appreciation for Fiddlerman and this community turned into a mini biography (oops).. Thank you Fiddlerman and friends for this wonderful place!! I will be purchasing a fiddle from Fiddlershop in a couple days, I just need to make up my mind!!! I love your "brief introduction"
Anyway, I guess you had to go through all those different instruments to mature to the "VIOLIN!!!!!" Sounds like the fire is lit and I look forward to hearing about your decision and the upcoming concert. Nice intro, and props to getting your violin from fiddlershop. You know its gonna be good if it comes from them. I recently bought the August Kohr K565 from them and love it so much that I almost am never separated from it. They also have excellent customer service, and you actually get a demo of most of the violins they have. Enough of a plug for them and back to you. Welcome, I'm new here too and to the violin. Are you planning on taking lessons or doing it on your own? Thanks Fiddlerman! A few people I knew were really skeptical of the cheaper violins and they were encouraging me to explore renting. I tried to post about this yesterday but sadly was unable to do so. Initially I became really discouraged every shop I had called wanted a hefty deposit plus three months up front, far more than my $150 budget. The first shop I called, I had to leave a message due to no answer, called me back a couple hours later. His attitude was a complete 180 compared to everyone else I talked to, insisting that I can rent a violin for $23.85 a month with 80% of that being credited to me towards an instrument. It's a 3 month minimum and that is the only obligation. He said he would throw on some helicore strings and I could come in and check it out whenever. I wanted to post before I went to look but the forums were down, the violin is a Samuel Eastman VL80 and although I wasn't sure I figured it was better quality than what I could have purchased which is the CVN-300. I brought it home and all he took from me was my name and $23.85, which I'm still having a hard time believing. I'm able to make notes on every string and my bowing is relatively straight. I can't wait to dive into it tomorrow, my goal is to practice 5 hours a day. The only thing I've noticed about the violin is the back of the bridge feet are aligned with the slots in the f hole so I'm not quite sure if i need to move the bridge back a little or not. Looking back on your previous musical history I think you've probably made a wise decision by renting. This way you can decide whether or not you actually want to pursue playing violin. Sounds like you've found a great luthier to rent from also. As far as the bridge being lined up with the f-hole notches, leave it. The notches in the f-hole's are where the bridge should be aligned with. Your luthier has set-up the violin for optimal sound and performance. Another thing is that by renting, you're not forking out all your saved money, you can add to it a little at a time should you decide to purchase a little better violin down the road. The Helicore string's are a good all around string, they'll give you a nice sound, not too dark, not too bright. There's another plus, by him putting on new string's saves you having to spend money for string's, which is a must if you were to purchase a $ 60.00 or $ 80.00 violin from E-bay or Amazon. Buying off the net like that is that you don't know what you are getting in the way of quality, remember, you usually get what you pay for. Good luck with this venture and hoping you stick with it this time. every shop I had called wanted a hefty deposit plus three months up front, far more than my $150 budget. Was this a violin shop, or a "music store"? I rented at first from one of the big chains, but then I found the Loft Violin Shop, here in Columbus, and now I've been spoiled. $20 a month, and 100% of the rent goes toward purchasing, or trading up too. Just amazing service; always going above and beyond. But enough advertising. My point was going to be: the more I learn and explore, the more it seems I found a really usual shop. What is everyone else's experience like? And more importantly, does fiddlershop have a brick and mortar storefront? Hi, Calvin, welcome to the forum! Congrats on the nice rental violin! Sorry about the problems with the forum Calvin. I struggled for almost 2 days with a problem that started with the path to my IP passing through an untrusted host. Finally I purchased a cloudproxy (web firewall) and pointed my DNS to that proxy's IP. One of the big pluses is that the proxy saves a lot of cached pages which should theoretically speed up your surfing experience. The problem is that if you are logged in and the caching is going on, it's not possible for the database to make changes off strictly cached pages. In any case, the great proxy which is offered by a company that I respect and value (sucuri.com) was not set up correctly for our site and it wasn't easy enough to make the necessary changes. Long story short, many users, if not most, could not post. For me, everything was working fantastically and I had no idea except for the fact that there were next to no new posts and my mail wasn't coming in. We started renting as well a while back. We offer 100% trade in towards a better instrument on purchases but on rentals we only offer 50% which is not as good as your 80 Maybe we need to reconsider in order to be more competitive. Although we rent out instruments we have no information about it on our website but are asked to do so from time to time. We're not too anxious to get into rentals as of yet but appreciate the occasional contract.Congratulations on your beginning. Hope we can be of some help along the journey. Was this a violin shop, or a "music store"? And more importantly, does fiddlershop have a brick and mortar storefront?